LOS ANGELES, Calif. – March 28, 2018 – Non-profit MAKE IT IN LA is launching a new Catalyst program to build a diverse community of creators and connect them with local manufacturers to grow their businesses. They will have access to exclusive workshops, expert advice, factory tours, and access to other programming and services. The advice will be provided by a panel of expert “Catalysts” who have extensive experience bringing products to market from a wide range of perspectives. The program is inspired by a study released by the Office of Los Angeles Mayor Garcetti’s office in June 2016. The study found that 57% of all factories in Los Angeles County had excess capacity, and they were eager to connect with new customers. The manufacturing ecosystem in Los Angeles—the largest in the country—offers many resources across numerous industries, but it can be hard for emerging businesses to navigate. MAKE IT IN LA was launched to address many of the opportunities identified in the study, highlighted here: maketinla.org/study. 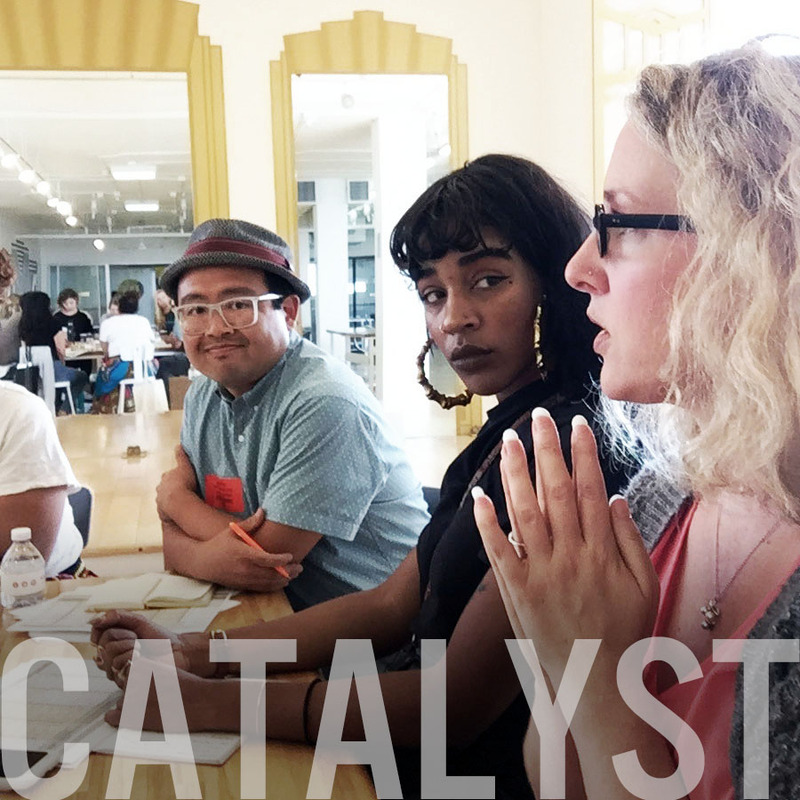 Catalyst Fellows will have one-on-one coaching from a Lead Catalyst matched to their needs, and the ability to tap into the expertise of the broader catalyst team as needed. They will also get access to peers and experts through events, occasional online coaching sessions, and an exclusive Slack workspace. Special factory tours and workshops are planned, such as a tour of Stratasys Direct with a workshop about the future of additive manufacturing and a workshop at Red Bull North America’s Headquarters, plus many more. Participants also get access to various services, including a complimentary year of LegalZoom’s Business Legal Plan. Catalysts are volunteer experts who contribute their time to help the community and advise the Fellows. These trusted advisors have deep expertise in manufacturing and bringing a product to market, across many industries and disciplines. Catalysts include CEO of local shoe brand Sean Scott (COMUNITY), serial consumer brand-builder Lane Wood (Woodwork Consulting, formerly charity: water and Warby Parker), food entrepreneurs Caue Suplicy (Barnana) and Michael Polier (The Food Exchange), beauty entrepreneur Cat Chen (Skylar Body, formerly The Honest Co), serial hardware entrepreneur Michael Corr (Duro Labs), textile engineer Connie Huffa (Fabdesigns, Inc.), principal engineer and sustainability expert Carolyn Casavan (Casavan Consulting), manufacturing experts Kathy McIntyre (CMTC) and Mit Vyas (Operations Development Group), apparel product development expert Zack Hurley (Indie Source), Adrienne Lindgren (City of Los Angeles Mayor’s Office), venture capitalist and trade expert Tracy Gray (The 22 Fund), and Iosefa Alofaituli (Opportunity Fund). More catalysts will be added as creators apply and needs become evident. At this time the program is available at no cost to participants thanks to the sponsors of the program. Some events might have a nominal fee to help cover administrative costs, but creators picked for this selective program will receive a full fellowship to the program. Catalyst is made possible by MAKE IT IN LA’s Gold Sponsors: the Federal Home Loan Bank of San Francisco, Califia Farms, LegalZoom, DLA Piper, and the Los Angeles Cleantech Incubator (LACI). Other generous sponsors include Red Bull, Opportunity Fund, Innovation Protocol, and City National Bank. For more information about the program, visit makeitinla.org/catalyst. MAKE IT IN LA is a diverse community of creators turning passions into products in Los Angeles. Our mission is to make connections that celebrate and unleash the creative potential of Los Angeles. The non-profit was spun out of Los Angeles Mayor Garcetti’s Entrepreneur-in-Residence program by Krisztina ‘Z’ Holly, a well-known engineer, tech entrepreneur, and the creator of the first TEDx. The initiative is made possible by partners that include the Federal Home Loan Bank of San Francisco, Califia Farms, LegalZoom, DLA Piper, and the Los Angeles Cleantech Incubator (LACI). For more information, visit makeitinla.org.